The funding incentive often explains much of what seems illogical. Today we have yet another article about the confusion between autism and Asperger’s syndrome. It appears that despite the similar scores on various tests given during an ASD assessment, there is wide variation across the U.S. between the number of children given a diagnosis of either Asperger’s syndrome or autism. The study’s researchers urge parents not to concentrate too much on the difference between autism, PDD-NOS, and Asperger’s syndrome, but rather, to look at the child’s difficulties and try to get them help. For most of us, this sounds like reasonable advice. However, to anyone who understands the politics of autism, it becomes abundantly clear that these researchers are completely disconnected from the various issues with which parents must contend when it comes to autism spectrum disorders. Parents need an objective diagnosis in order to do research on how to get help; however, if treatment and support services are not provided for those with any diagnosis other than autism, parents are put into an impossible situation. On the one hand, parents need the truth about where their child is diagnosed on the autism spectrum; on the other hand, that truth may create a barrier to treatment services, if society predicates a formal autism label to service or insurance dollars. Based on recommendations of the study’s authors, it’s obvious these researchers don’t have a clue regarding what parents actually goes through. The confusion, which is actually a complete mismanagement of the field of autism spectrum disorders, is then used by researchers as a justification to move toward a general diagnosis of ASD, rather than differentiating between Asperger’s syndrome, PDD-NOS, and autism. This advice is political rather than clinical. We know the difference between autism and Asperger’s syndrome and we desperately need accurate diagnoses! 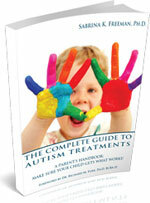 Autism and Asperger’s syndrome must be differentiated for the benefit of both groups of children and adults. An accurate Asperger’s syndrome diagnosis must never be an obstacle to treatment funding. A better idea: 1) have states’ mandates cover all ASD treatments, and then 2) use objective criteria to differentiate between autism, PDD-NOS, and Asperger’s syndrome. Once access to treatment services dollars are decoupled from the diagnostic label, researchers may be pleasantly surprised as to how the autism- Asperger’s syndrome confusion will cease to be an issue.